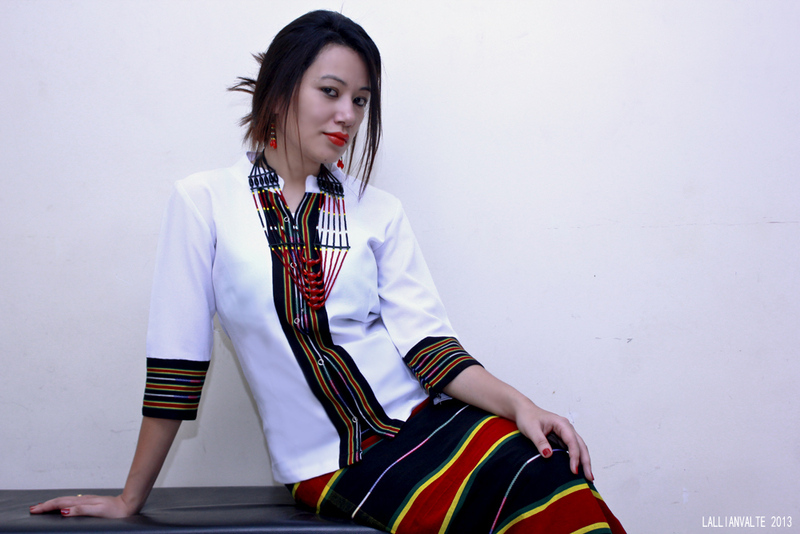 Dash Of Classic: One of the Ethnic wear of Manipur !!! 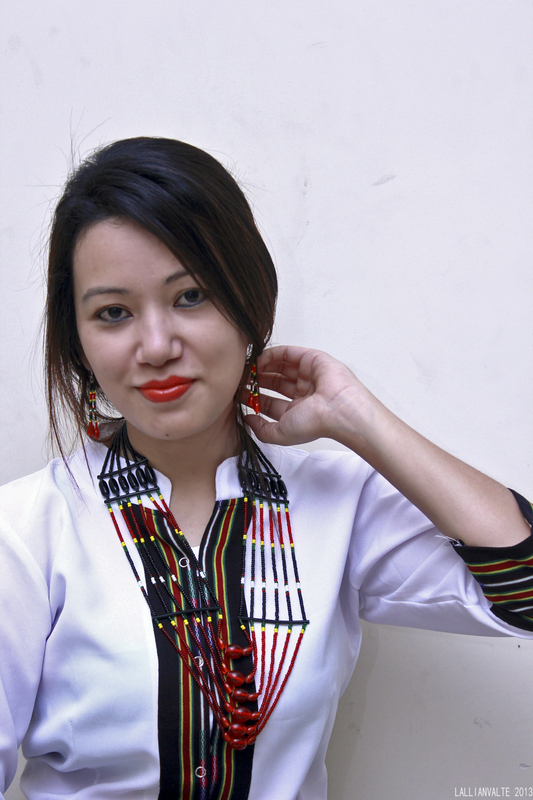 One of the Ethnic wear of Manipur !!! Where do you get the inspirations for many of those outfits - which we clinched into as a fashion statement. Been researching about the whole tribal touch, in some of the Runway I have seen this whole pattern coming up, its fabulous how the evolution has come so far.Once upon a time, it was consider a ethnic wear, wearable only relatively to some functions.Atsu Sekhose's Autumn/Winter '13-14 lookbook where he focused on gowns, evening dresses and cocktail dresses where he intact his naga identity in each collections. So, yes things have changed and its for good to see several collections making a mark and identity of its own. I love the colour palette of the tribal's designed dresses, its strong and beauty of the dress reflect once its adorn with right piece of jewellery. As part of this shoot, I requested my photographer to do one of the shoot in his cultural dress, he being the sweet and flexible one was more than happy to make me happy by saying a Big YES(shout out). Eventually the shoot is all about the cultural meet, there are lots to discover. In some way, I already did one with Paite's dress hope never to stop. Cheers guys for more to come in future……. Enjoy the whole look !!! Thank you for the wonderful blog. It is indeed informative and useful We are into the same business. For know more about us, please visit for Formal Suits & Bespoke tailoring services . Look gorgeous, thanks for share this here with us, really nice post. Enjoy wearing the designer sarees, bollywood sarees suits and many more at goonshopping. Buy Indian wedding Sarees at a very affordable rates and look stunning at party and other occasions. Awesome. I never saw this ethnic wear attire. It is really nice piece of clothing and the color combination is fabulous. 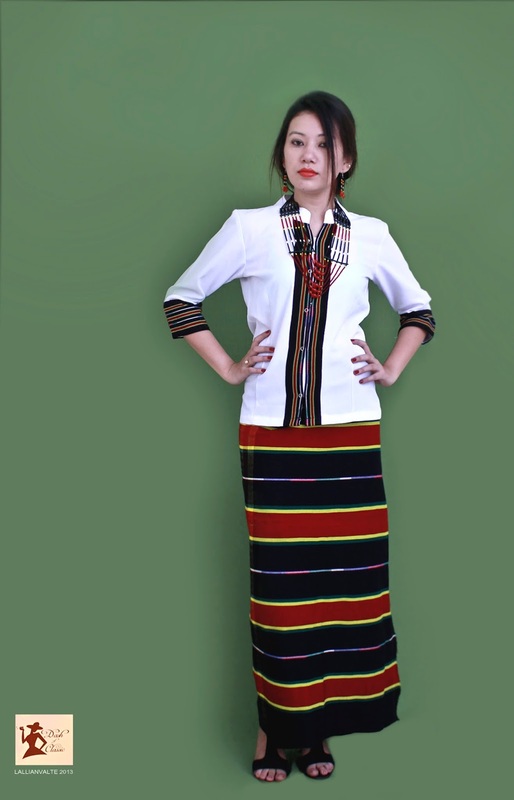 It is attractive and stylish ethnic wear. Thanks for sharing this unique information. Checkout kurtis online at parivarceremony,as they have wide range of choices based on colour, fabric, pattern & more! 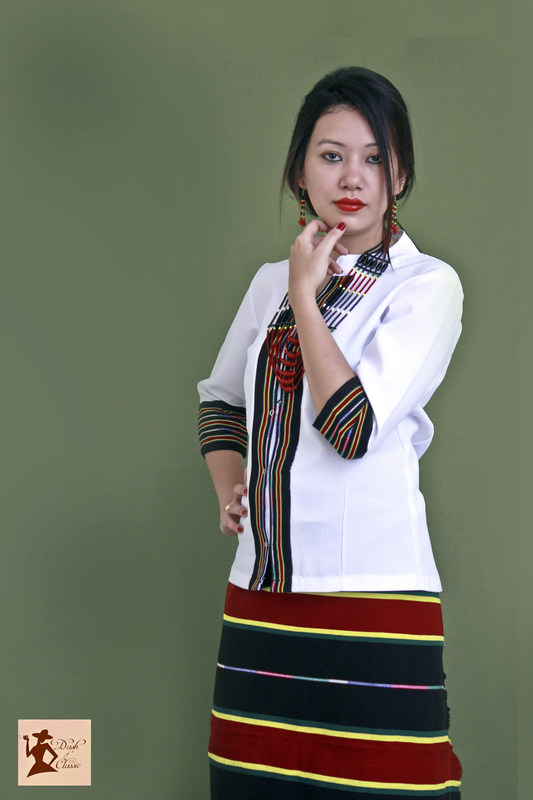 Looking for the best and most trending Ethnic Wear For Womens ? Check out our latest collection and slay in style. We are the well known Ethnic Wear Manufacturers In India and supply customized designs dresses. Thanks for sharing this wonderful blog! Get Beautiful collection of women’s dresses at Dresse Online Shopping India. You are writing some Amazing tips. This article really helped me a lot. Thanks for sharing this blog. Good place to get the good knowledge about women fashion online shopping trends! It is inspiring when you need to know all about the range of women outfits and you like to buy women dresses online in current fashion. Really appreciable information! You may visit here to find related information. One dress - many looks!